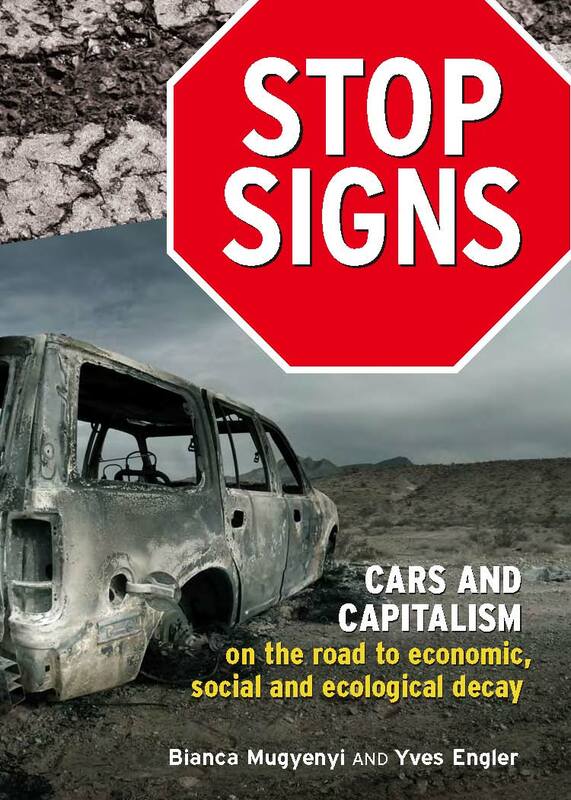 I’m half-way through “Stop Signs: Cars and Capitalism on the road to economic, social and ecological decay” by Bianca Mugyenyi and Yves Engler and I’m already regretting my decision, a year ago, to replace my aging Mazda with a brand new Kia Soul. I would have been better off with a bus pass and the world would have been one infinitesimally tiny step closer to sanity. By every conceivable measure, private automobile ownership is an irrational choice that drains our health, destroys our environment and locks us in a downward spiral of indebtedness. In a discussion hosted by the Manitoba Eco-Network on July 7, 2011 in Winnipeg, Yves Engler explains why.